There is far more to Honda’s new CBR650R and CB650R models than first meets the eye, something I quickly discover when I ask their designer if the CBR is aiming to fill the hole left by the CBR600RR models’ departure. 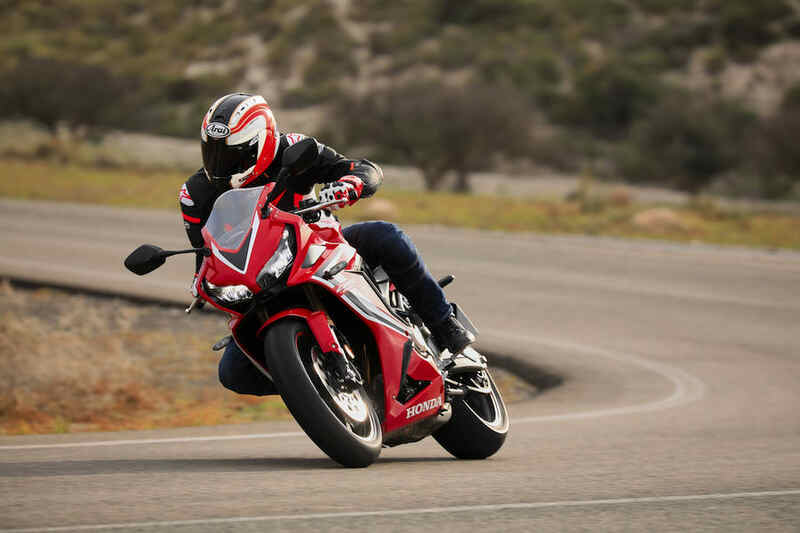 A rather curt “no” is directed my way before an explanation of despite looking every bit a mini-Fireblade, the CBR650R is most certainly not a supersport bike. In fact, it is far more akin to the firm’s hugely popular CBR600F models of yesteryear. And in my book that’s no bad thing. 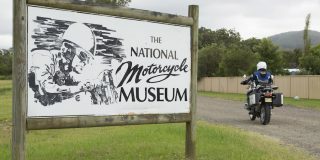 At this stage, however, Honda Australia has confirmed it is only planning on bringing in both machines to the Aussie market in leaner-approved guise, a strange move, considering the rising popularity of middleweight motorcycles. Ever since Honda abandoned the CBR600F after being enticed by the track glory delivered by the CBR600RR, this much-loved bike has been missed from its model range. Yes, the CBR600F technically reappeared in 2011, but this generation and its subsequent updates have failed to capture the same do-it-all sportsbike magic as the original, due to its dowdy styling and slightly uninspiring performance. And the same could be said of the CB600F models as well. The assumed replacement for the iconic Hornet by many, the CB600F and subsequent CB650F ended up being a bit bland and identi-kit Japanese naked. 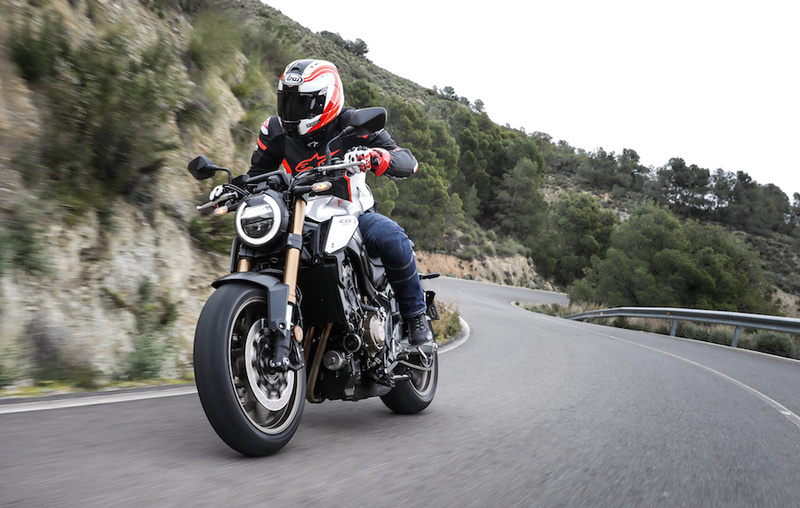 There was nothing that wrong with the outgoing CB650F, it just failed to stand out in the packed middleweight class where the likes of the Yamaha MT-07, Kawasaki Z650, Triumph Street Triple and even the Ducati Scramblers or Monster had more going for them in terms of styling. 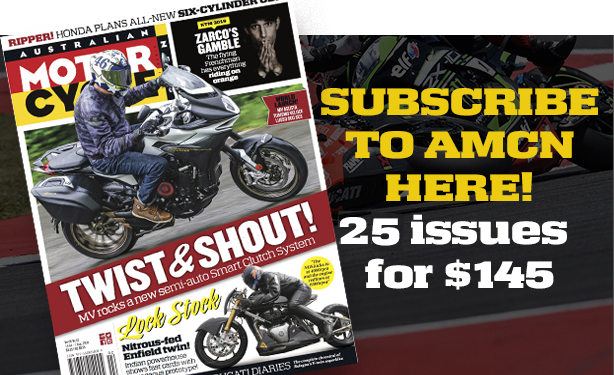 For 2019 this wrong has been righted on both counts – the new CBR650R and CB650R both look fabulous in the flesh – and, given the success of the likes of Yamaha’s MT-07 and Triumph’s Street Triple, surely it will only be a matter of time before Honda wants a piece of the lucrative (full-powered) mid-capacity pie. They look so good, in fact, that I assumed Honda’s lead rider was also on a CBR650R and it was only when someone pointed out my error (yes, the bikes were parked side by side) I realised it was a Fireblade. 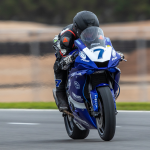 In my defence, it was double TT-winner Steve Plater, who makes any bike fast, but the resemblance between the new 650R and the ’Blade is uncanny. And I’m also a huge fan of the CB650R’s new styling. Honda’s neo sports café title is a bit long-winded and pretentious, but I like what the design crew is doing – it remains true to the simple, minimalist ethos Honda has created. Short, squat and dark, the CB proudly shows off its side-swept exhausts, while bronze engine covers and metallic panels add a dash of visual interest. It’s hard to imagine it when you see the two models together as they are so visually different, but underneath their individual styling the two machines are more or less identical, which is a very good thing indeed. 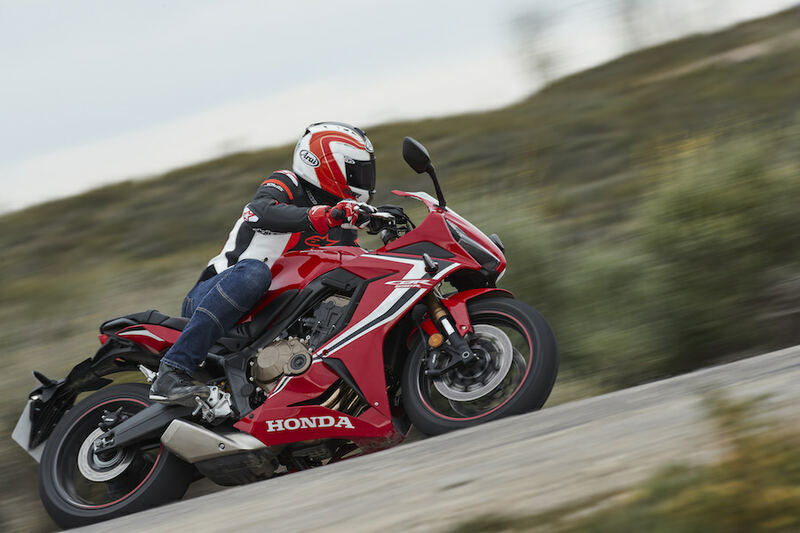 As with the outgoing CBR and CB models, Honda has kept it simple, creating a basic platform that only sees the styling and bars altered between the nakedbike and the fully-faired sportsbike. 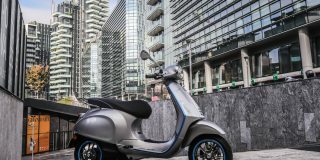 However where on the previous models Honda skimped in terms of technology, for the 2019 update they have been far more generous while resisting the urge to up the price substantially (a fact certainly helped by the models being built in Thailand, and not Japan). The most eye-catching update is the new inverted Showa Separate Function Front (SFF) fork, which replaces the conventional Showa Dual Bending Valve (SDBV) unit on the older models. 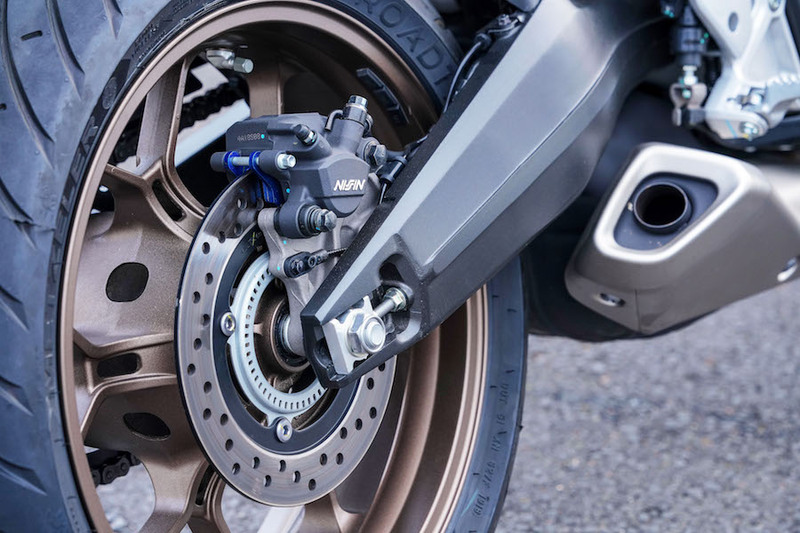 Carrying radial Nissin calipers and floating discs (which thankfully aren’t a tacky wave-shape) as opposed to the budget two-piston sliding calipers on the F-models, they provide a huge step up in terms of kerb appeal. 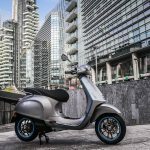 Add to this some smart new wheels and the addition of Honda Selectable Torque Control (HSTC) as well as an LCD dash and it is all very promising. But it is under the skin of these new models that the real delights are to be discovered, because where the outgoing F-models looked dowdy but performed well, the new R-generation now looks great and also more than delivers in terms of the ride. 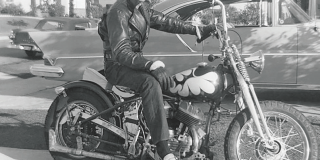 While there was nothing that wrong with the F-models’ conventional fork, the combination of the inverted item on the R-model and the small modifications to the steel frame offer a noticeably better ride. 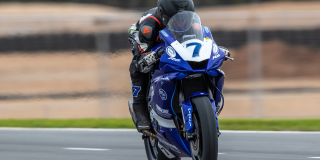 Feeling sporty but not overstepping the mark in a similar fashion to the old-school CBR600F, both new R-models roll through bends with a feeling of plushness that is an absolute joy to experience. 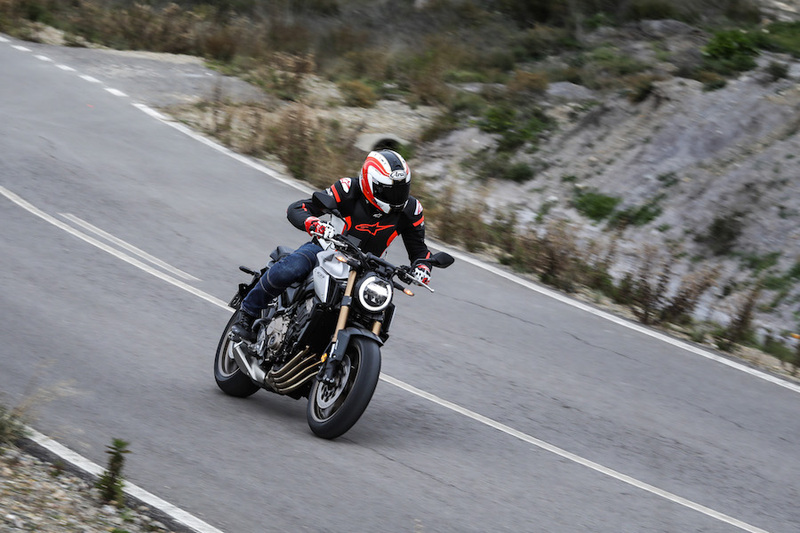 On a twisty road either one would destroy the soggily-suspended MT-07 and while not quite in the same league as a Street Triple, the Honda certainly isn’t to be sniffed at. 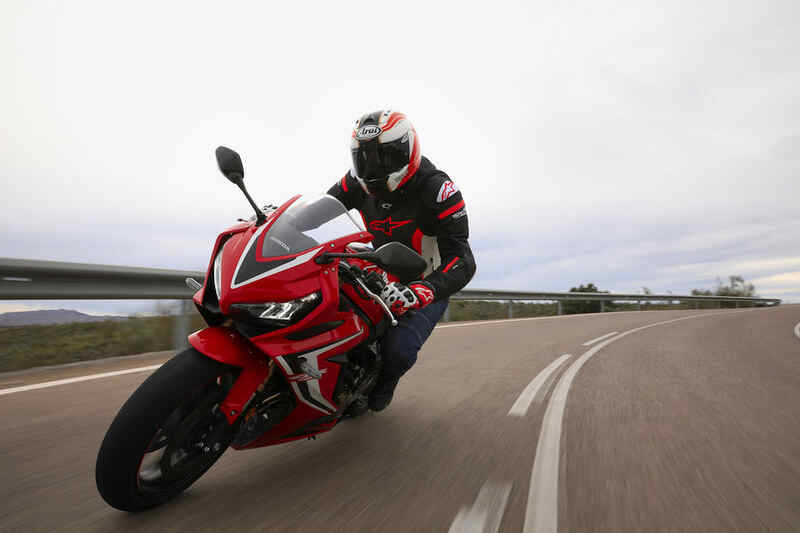 And the great thing is that because both the CBR and CB share the same chassis, you can choose to have this easy-going agility in either a naked or faired bike. And the same goes for the inline four motor, which has been improved in character and performance without overstepping the mark in the update (well, on the full-powered versions I tested, anyway). 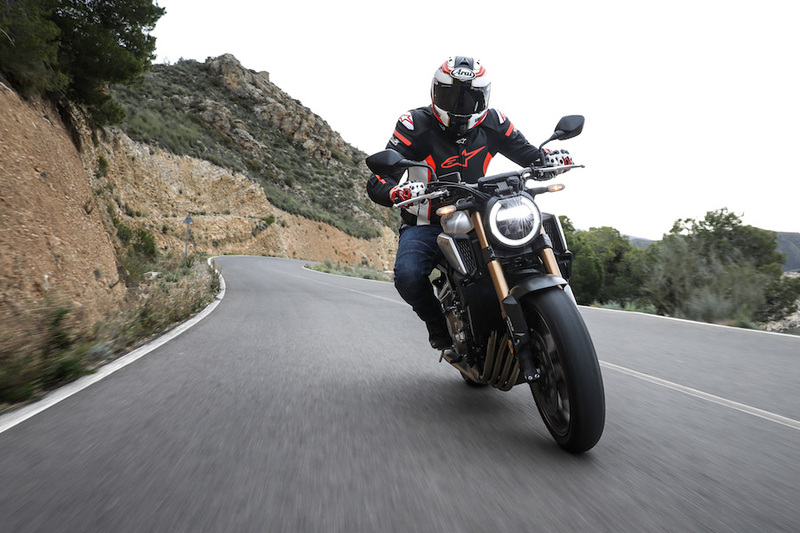 We are all spoiled when it comes to the latest generation of parallel-twin motors as the likes of the MT-07 and 790 Duke are fabulous examples, but not everyone gets on with the instant drive this format delivers. If you are a bit of an old-school rider who likes to feed a motor revs then you will love Honda’s 649cc inline four. Yes, it lacks that mid-range bang you get on a parallel twin, but with 70kW (94hp) on tap and 64Nm of torque backing it up (a five percent increase on the old model), the Honda is far from lacking drive. While a bit abrupt going from a closed throttle to a partially open one, once on the gas the inline four is super smooth and contains a decent amount of mid-range. 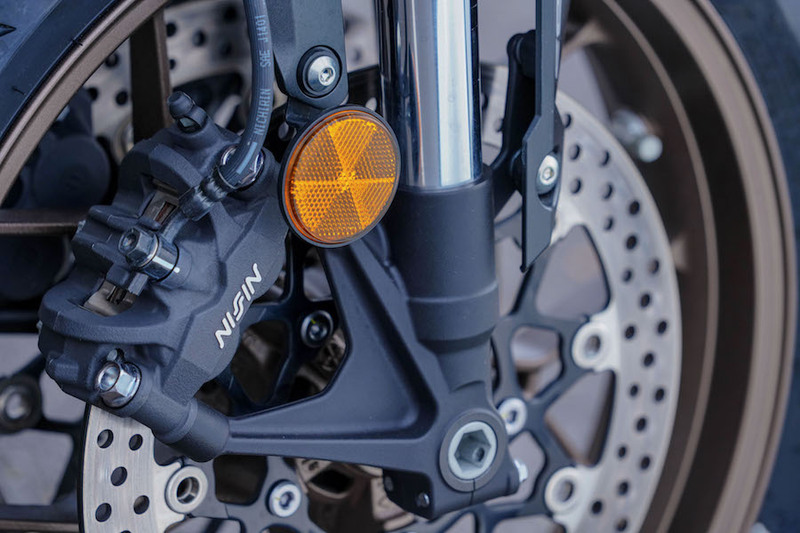 It hasn’t got the instant thrust you get on a parallel twin, but it has enough grunt to mean you aren’t continually shifting the gears and once up in its rev range really comes alive when a parallel-twin is starting to fade away. 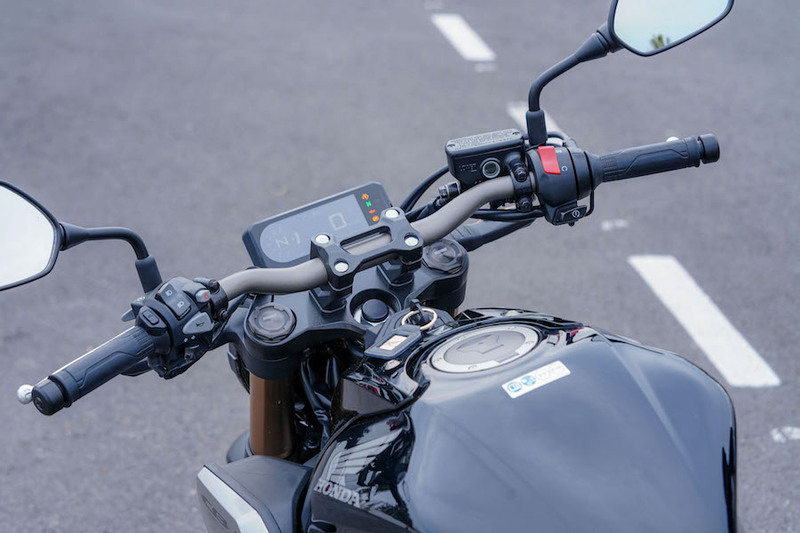 It’s not as bad on the CBR due to its fairing creating a bit of a shadow, but the new LCD dash is irritatingly dim on the CB650R and reflects light very badly, resulting in it being fairly illegible – especially in this era where we’re spoilt with full-colour TFT affairs. 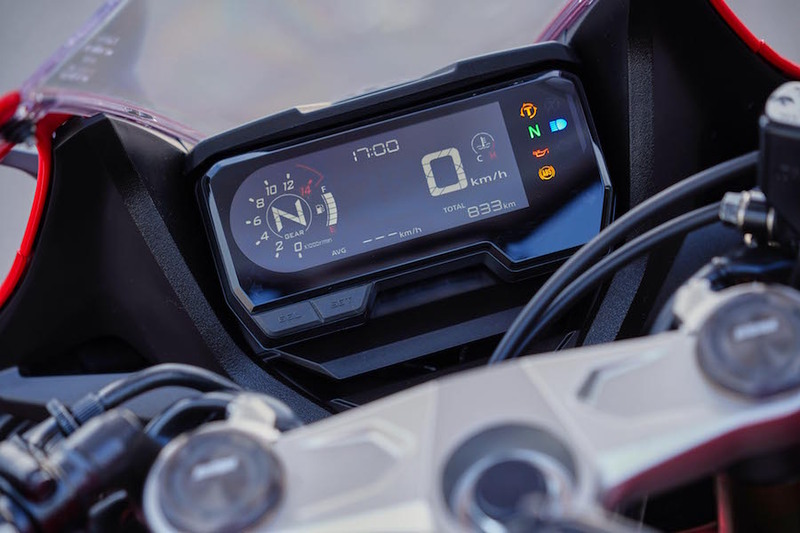 On a bike that is aimed at practical riders this is a bit of a nuisance, especially as it had lots of useful information such as a gear indicator, fuel gauge, shift light and fuel consumption reading. Maybe I’m being a bit harsh, but on a bike that feels so well thought out as these two do, it’s annoying that something as silly as a dash lets the side down. On a dry road and with the inline four making its power in such a linear fashion – and especially making LAMS-approved power – the HSTC is surplus to requirements, but it’s nice to know it is there (and that it can be switched off while on the go for a cheeky wheelie) and the same goes for the ABS, which again didn’t activate unduly. 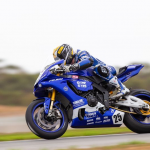 While up until this point I have been treating the CBR and CB as basically the same bike, there is one major area they differ – riding position. 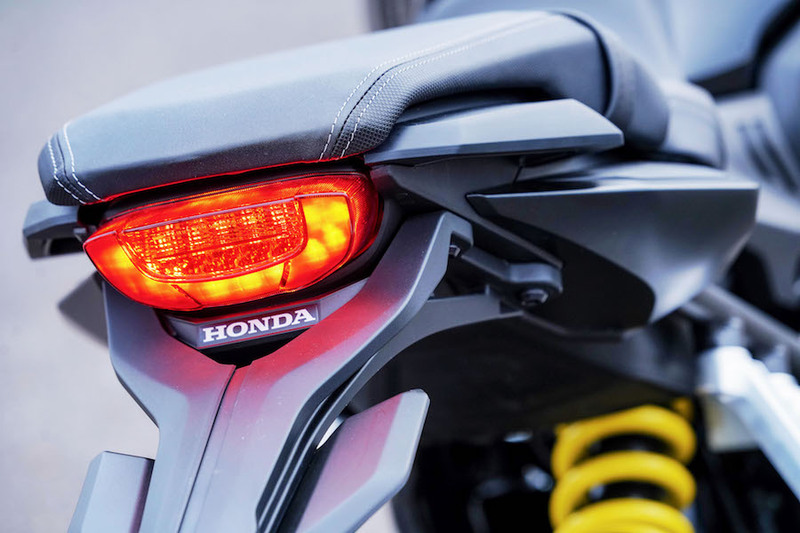 When you see the sporty-looking CBR you may think it is quite focused in its stance, however despite the bars being lower and further forward than the old F-model, the clip-ons are actually inline with the top yoke and makes it feel far more like a traditional sports-tourer to ride than a sportsbike. 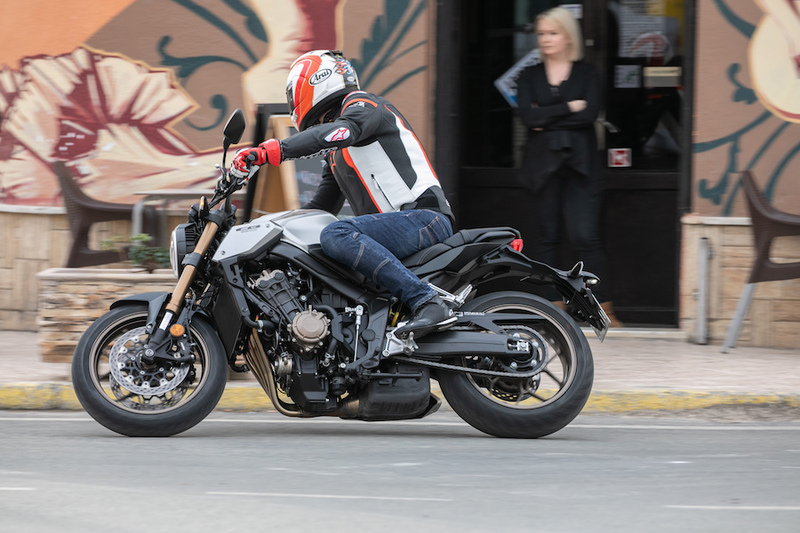 The naked CB also gains a more aggressive stance than the old CB650F, but despite being a bit more hunched-up over the front, it also isn’t uncomfortable and instead feels purposeful, which suits the neo sports café look. 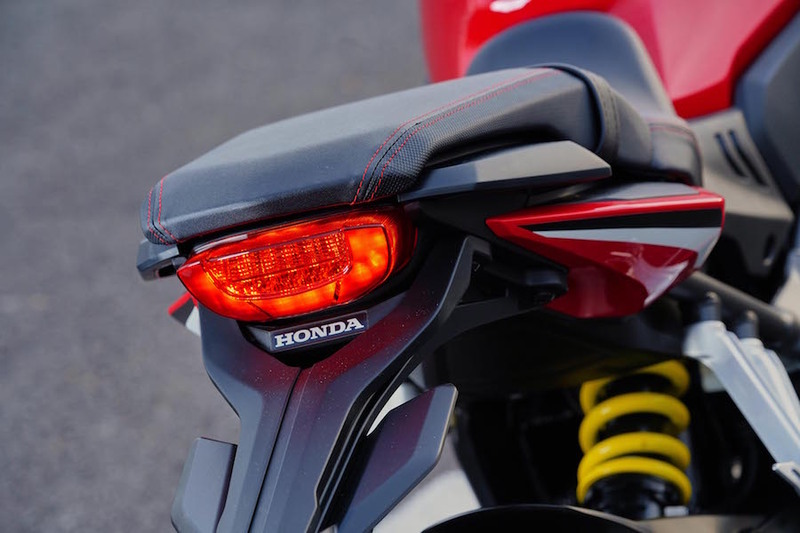 Honda has resculpted the seat on both bikes to make it narrower, something that sees the 810mm seat height appear lower while not compromising its comfort levels. In fact the only people who may spot the sporty concessions the R models have over the Fs are pillions as the subframe is now 60mm shorter and a touch higher. Or those who like to travel long distances as the new slender tank sees the capacity drop in the update by 1.9-litres to 15.4-litres. There again, considering how vastly improved both bikes are in terms of visual appeal, that’s a pretty small sacrifice to make and each should still clear 250km between fill-ups. 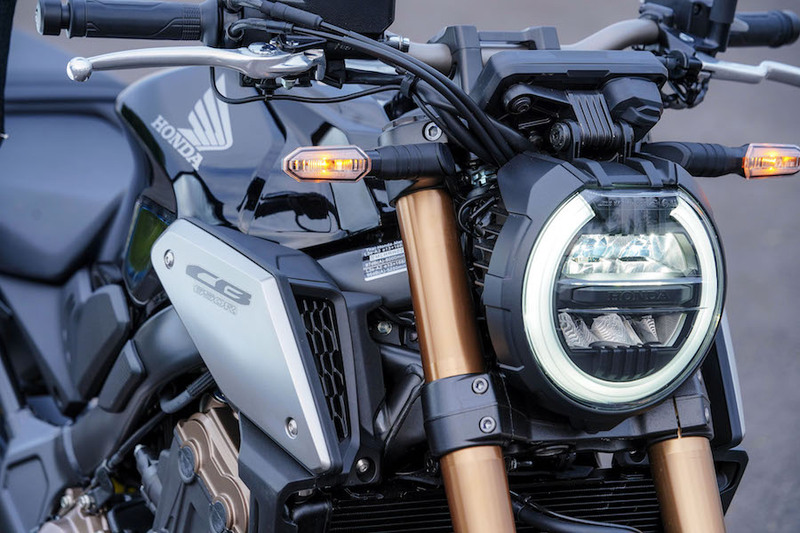 Sometimes all a bike needs is bit of a restyle to allow it to stand up and be counted – which is exactly what has happened with the CBR650R and CB650R. In a former life these two bikes were somewhat nondescript and as a result, generally overlooked. 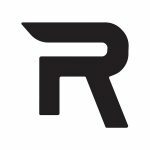 However in transforming into the new R-models they can be viewed in a whole new light. 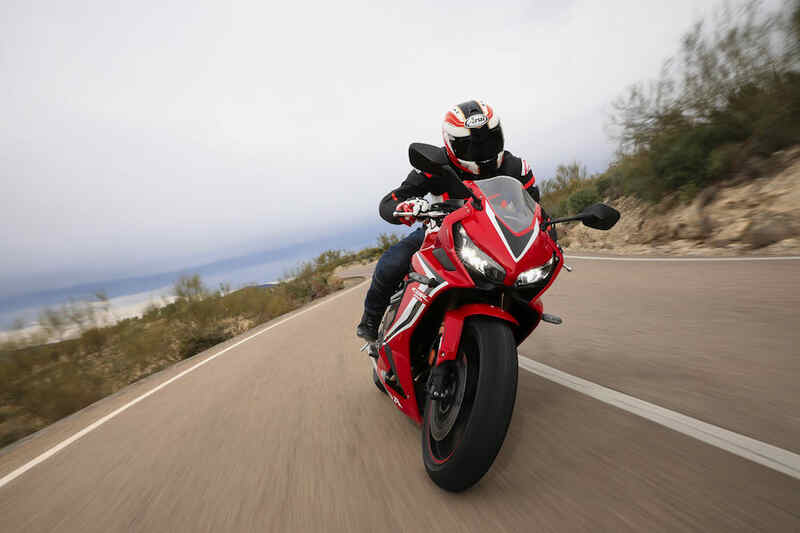 The CBR650R not only looks amazing, it captures that blend of handling and practicality that made the old CBR600F so popular. Yes, it lacks a centrestand (this died off alongside the old F-models) but that’s about the only thing it is missing. 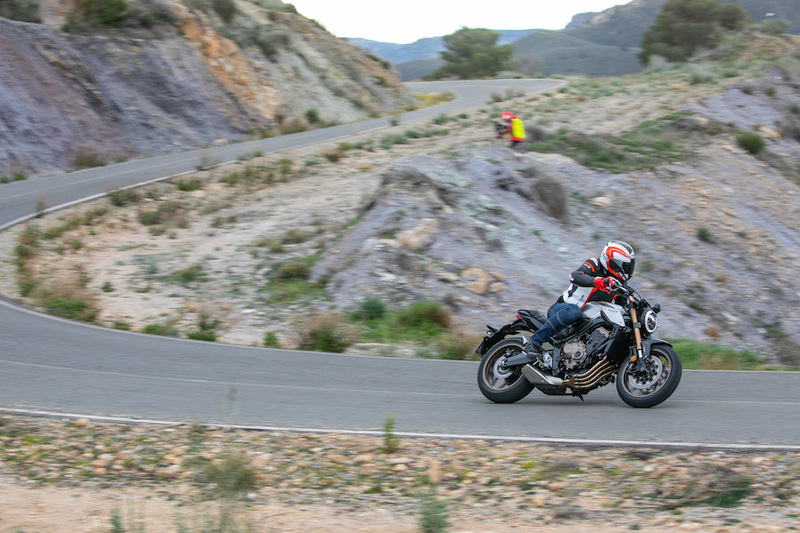 However for me the biggest surprise comes from the CB650R. 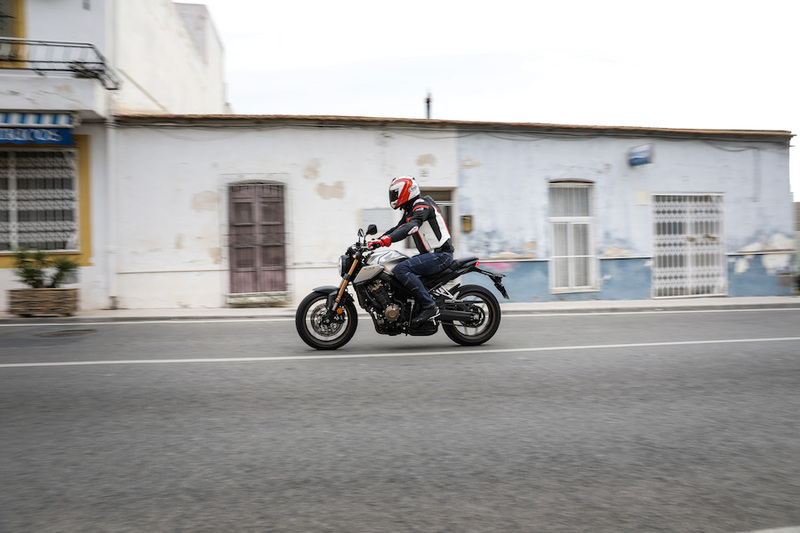 There was nothing that wrong with the outgoing CB650F, however in a packed middleweight class it failed to stand out from the crowd. 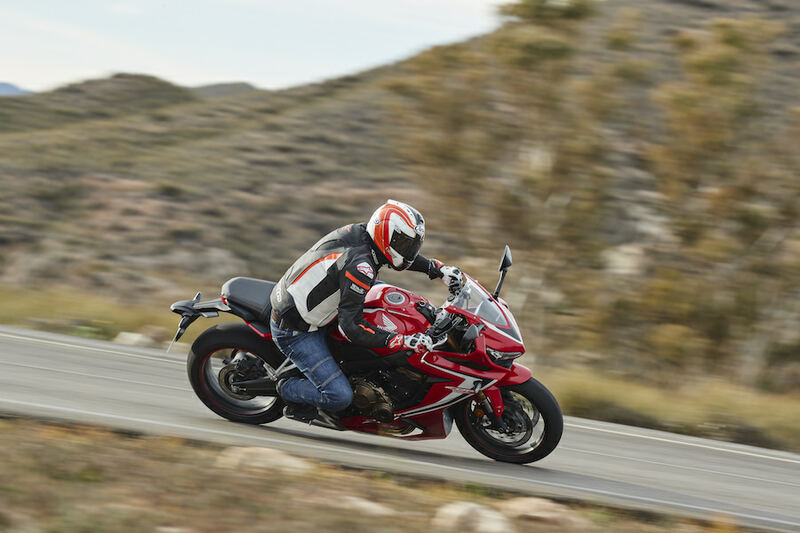 In giving the CB650R the CB-family look, Honda has given it the chance to stand up and be counted. It’s a surprisingly sweet handling naked with an engaging inline four motor and bags of easy-going charm. In fact, I’d put money on the CB650R being the better seller of the two models as the neo sports café range really seems to have caught riders’ attention. It would be great to see how these two machines would fare eye-to-eye to their rivals if they’re ever imported with the power outputs god intended, but either way, unlike their predecessors, these two new R models certainly won’t blend into the background anymore. 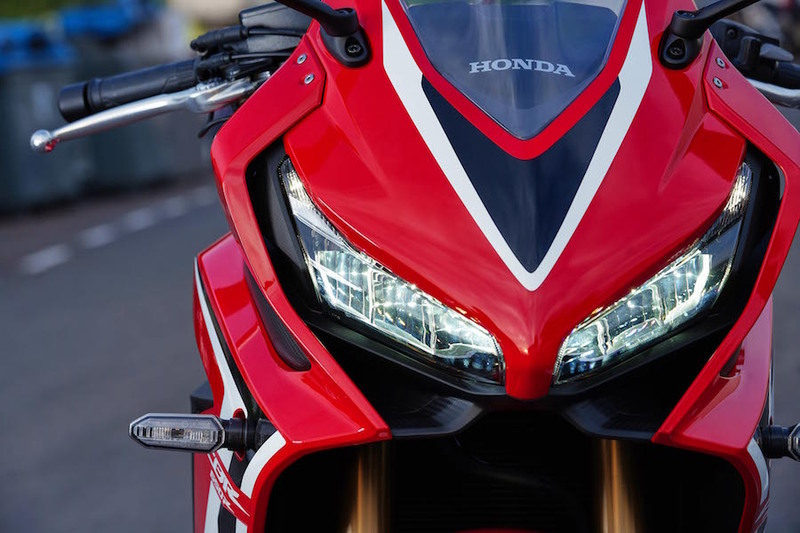 An all-new fairing is styled to look like the Fireblade and features an extended lower side fairing, aerodynamic scoops and cut-outs to expose the motor and exhaust pipes. Twin LED headlights are a nod to the Blade and so is the sharp rear end with its LED tail light. 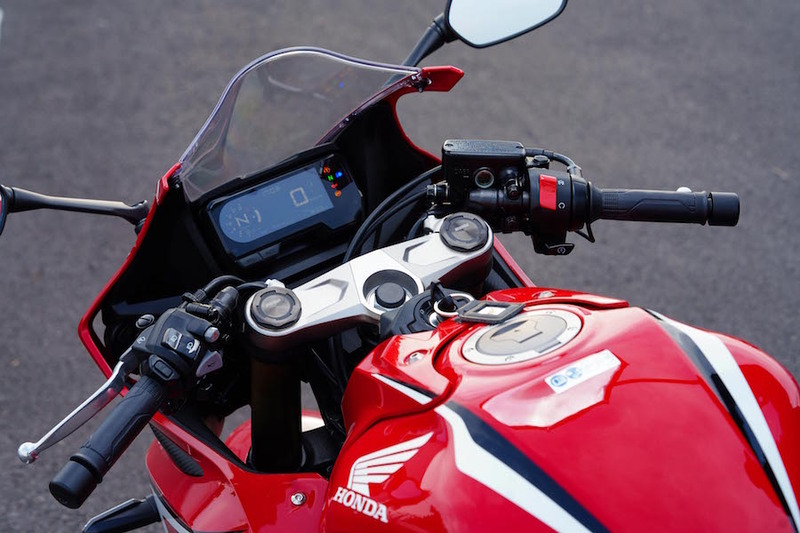 Tank size has been reduced by 1.9-litres to give the R more slender lines than the outgoing F.
Compared to the CBR650F, the CBR650R’s clip-ons are mounted below the top yoke and are 30mm further away from the rider and 30mm lower. The rider’s pegs are also 3mm further back and 6mm higher. The seat height remains at 810mm. 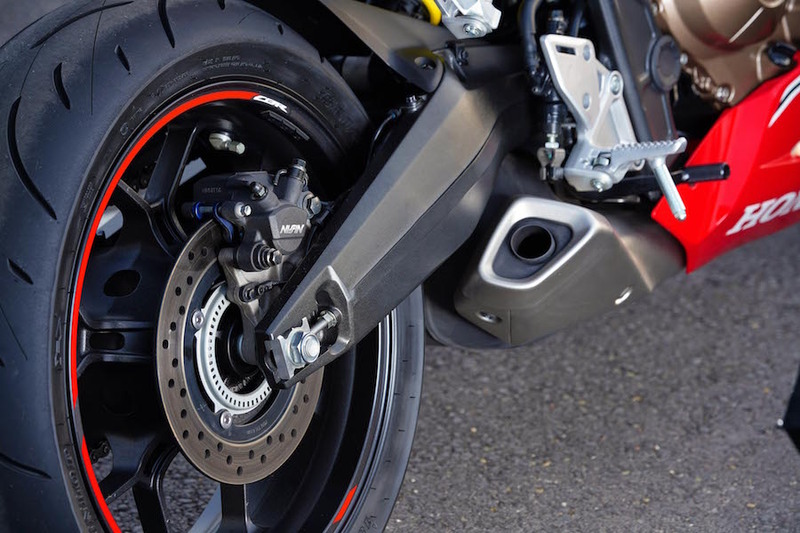 Compared to the CB650R, the CBR650R’s bars are 47mm further forward and 101mm lower! 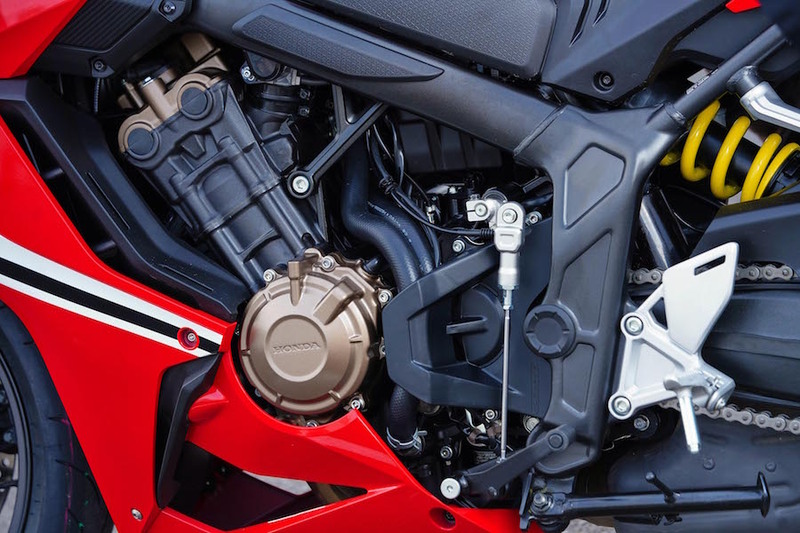 The CBR’s airbox has twin ram air ducts, boosting top end power by 5% over the CB as it generates three times the pressure at speed the naked’s airbox makes with its twin non-ram air ducts. 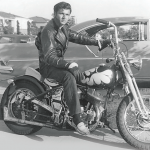 The CB-F models only had a single intake. The CB follows Honda’s neo sports café CB-family look with a short nose and stubby tail unit. 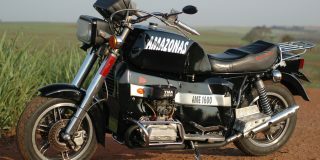 The round headlight runs an LED light and the motor features bronze cam covers while the forks and wheel rims are also a bronze colour. 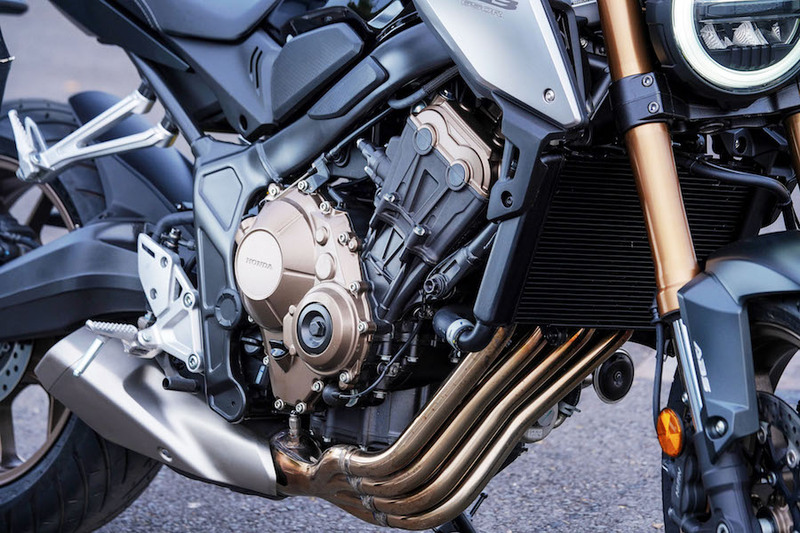 Tank size has been reduced by 1.9-litres to give the R more slender lines than the outgoing F.
The new tapered bars are 13mm further away from the rider and 8mm lower when compared to the CB650F and the CB650R’s pegs are also 3mm further back and 6mm higher. The seat height remains at 810mm. Front: Twin 310mm discs, four-piston Nissin radial calipers. Rear: 240mm disc, one-piston caliper.